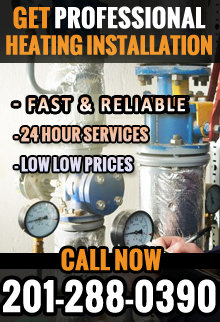 Are you looking for furnace installation in North NJ? If so, 1st Choice Plumbing, Heating and Drain Service offers a variety of residential and commercial furnace services. At 1st Choice Plumbing, Heating and Drain Service, our heating experts understand the importance of having a properly functioning heating system during the winter. When your furnace breaks down, our professionals will respond to your call as quickly as possible to provide you with a durable solution. If your old furnace is taking longer to heat up your home or has stopped working altogether, you need professional assistance. At 1st Choice Plumbing, Heating and Drain Service, our highly experienced technicians will inspect your furnace to determine the root of its problem. Whether your furnace has a an ignition problem, pilot light issues, fan motor difficulty or a wiring problem, we have the experience necessary to determine whether your problem can be fixed or whether you need a furnace installation in North NJ. With more than 30 years of furnace installation experience, our heating installation professionals strive to provide homeowners with quality heating services they can depend on. After your furnace installation, your property will be returned to a comfortable environment without any accumulated allergens from your old broken furnace. At 1st Choice Plumbing, Heating and Drain Service, we are available 24/7 for your furnace emergency. For more information about furnace installation in North NJ, call 1st Choice Plumbing, Heating and Drain Service at 201-288-0390! 1st Choice Plumbing, Heating & Drain Service – Your trusted source for Furnace Installation in North NJ.